I peered through the gap between my riser and my Heads Up Decoy Mule Deer to see that I had another 140 yards to close to be within bow range of M3. I had already maneuvered my way in from 600 yards but he was beginning to move with the rest of the bachelor group of bucks and I needed things to change in my favor soon to get this done. All of a sudden twenty yards to my right I jumped a doe out of her bed I hadn’t seen before and I thought it was all over. With the wind in my favor I froze hoping she would remain calm and begin feeding. To my astonishment I looked up and the entire bachelor group of five had turned, heading directly for me. This story dates back to 2010 when Garrett and I spoke on the phone for the first time. I work at the local Pro-Shop in Colorado Springs and one day I received a phone call about a new decoy: The Heads Up Decoy! Garrett and I shared a nice conversation and I remember while on the phone looking up his website and thinking, ‘it’s a cool idea but that’ll never work, HOW and WHEN can I use this?’ Everything I knew about decoys from experience and reading told me that it wouldn’t but what I couldn’t shake from my mind was they were from my “Hometown”. I continued to follow Garrett and the team harvesting elk, mule deer, and antelope but what really grabbed my attention was their exploits with turkeys! Stalking them in open fields and having successes where other, “conventional”, methods simply weren’t working. 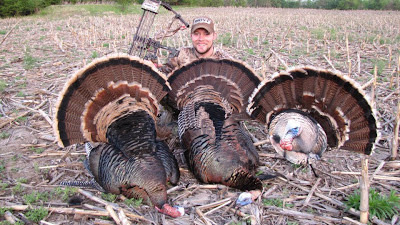 During the 2011 Spring Turkey season in Kansas I had some of the worst luck I have ever experienced! Call shy birds, huge flocks, or simply non-responsive birds in the middle of 140+ acres of drilled wheat and alfalfa with no way of getting to them. Now was the time! Before the 2012 Spring Turkey season rolled around I knew I was going after the birds from the previous season. I had spent 2 years trying to get at these thunder chickens and this was the year. I called Garrett and ordered my turkey! With AMAZING results we were on TONS of birds all spring and filled both of my tags! I immediately ordered the Mule Deer and Elk. I now knew how to use this decoy and exactly where! 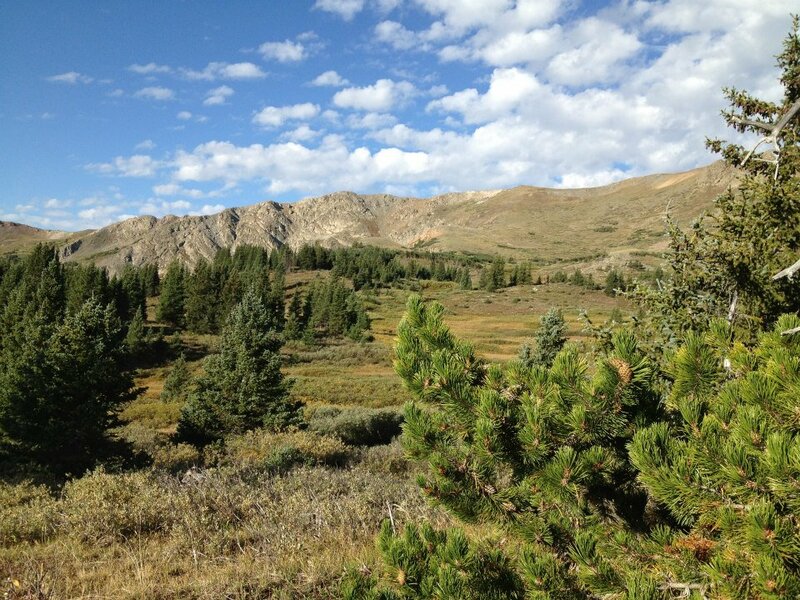 The Colorado High Country! 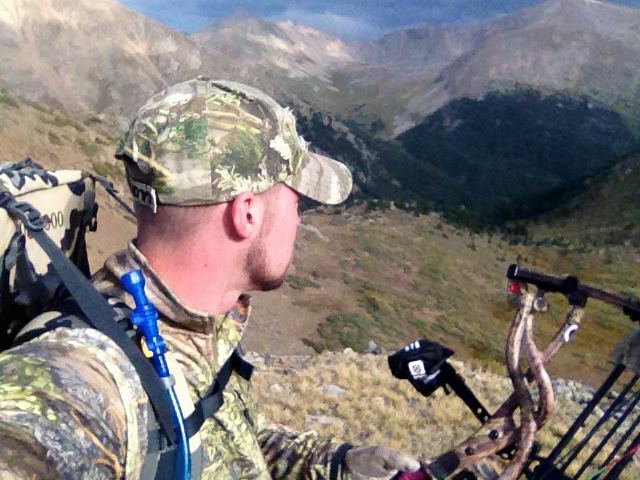 Hunting Mule Deer in the High Country is the ultimate challenge for a DIY Hunter. They are in bachelor groups, feeding patterns (which is the best news), above timberline in the open, and NOT in the breeding mood so calling, etc isn’t going to help you. It’s hunting an animal in his home, on his terms, and you are completely out matched. Let’s face it the odds aren’t good, but that’s my passion! I was unsuccessful in the draw for Colorado during the 2012 archery season, however, I was fortunate that a week before the season I received a phone call from a good buddy who had found an archery voucher for mule deer in a unit I have never stepped foot into or, for that matter, looked at on a map! But I had to have a mule deer tag in my pocket so with five days before the season it was crunch time and I jumped at the chance. I picked up the voucher and immediately began going over Google Earth, topo maps, calling anyone and everyone that I knew trying to get information, including speaking to a few local taxidermists. I was working twelve-hour days at the shop getting home and spending another four on the computer trying to put together a game plan. My 8 days was split into two trips. The first was a week into the season and was going to be a quick three-day excursion. Followed by a week back at work and then another five-day trip. The goal was to cover a lot of ground on the first trip, locate a buck and kill him on the second trip and away we went. On the last afternoon of my three-day scouting trip I saw him: M3. 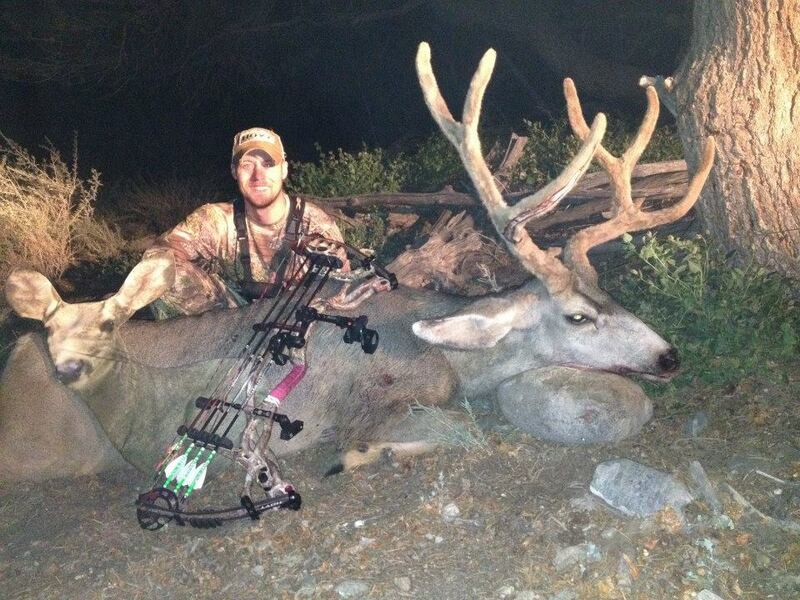 Quite possibly the largest 3X3 Mulie I had ever seen! I judged him in the 150-155” class. The best part about the situation was that he only had a one buck entourage that was a 4X4 in the low 160s and a high country buck I wouldn’t mind putting one of my mullet arrows through (A mullet arrow is a fancied up shaft with wrap and vanes party style and a broadhead on the front for business). Game on for round 2! My mind just couldn’t get over the size of M3. I was sure that I had seen him wrong and there were really crab fronts or I had just not seen him right. I had a few other places on my mind that I really wanted to see so as I closed up the shop and began my drive I decided to hit some new country. After two days of seeing nothing but does in some new basins my mind was made up. I now had three days to seal the deal and almost a two-hour drive from one trailhead to the other. I didn’t see M3 at all that morning and began to get nervous that I had made a big mistake not getting in there sooner and wasting time the previous two days until 1 hour before last light he emerged from his willow bed and began feeding. All alone and with nothing for stalk able cover between us I watched him as light faded, knowing I would find him close in the gray light of morning. As the sun began to rise the next morning I found myself unable to greet the morning rays. I was physically so exhausted from work and hiking over so much new area trying to cover ground to find animals my alarm had no affect. When I finally struck out from camp my only thought was to go into the willows where I had seen him emerge from the night before and hope he was still around. Eight hours later with light fading and feeling that I had to MAKE something happen I began still hunting through the willows and came up with nothing. I began trudging back to camp when I looked up and spotted him feeding up the drainage sixty yards below my camp! It was now or never. The grass was tall enough to allow me to move and still provide sparse cover but it was a bold attempt at an open stalk. Grabbing my Heads Up Decoy off my pack I began my approach angling slightly ahead of the direction they were heading. With 200 yards between us my over eagerness cost me. From my right popped up a doe. In my haste to cut off the bachelors I hadn’t taken the time to do the most critical thing…GLASS. My heart sunk as I huddled down and knew it was over. All I needed was 140 yards and I would have been well within my effective bow range and because I got in a hurry it was all over. As I sat and watched that doe I began to realize that she didn’t care I was there. My Heads Up Decoy calmed her down and within minutes she was feeding twelve yards from me without a care! What happened next may be one of my most memorable moments while mule deer hunting. As I am admiring the fact that this doe is paying no attention to me I looked back to the bucks and they were no longer feeding their way on the same vector. They were now feeding directly at me! With an arrow already nocked I remained in position as they began closing the distance. 180, 140, 100, 60, 40, 35 yards now stood between me, and the buck I had chosen to hunt, M3. For more than three minutes he stood facing directly at me feeding and I decided to make a decision. At thirty-five yards with my selection of broadheads I was going to run it right down the center and take a frontal shot. As he lowered his head to feed I eased up on my knees preparing to draw while the other four bucks came wandering up behind him. I had forgot about them because my focus was so narrowed I had stopped paying attention to the others that were walking at a much slower pace behind M3 and now were adding to the number of eyes. To my surprise he took a few steps closer and turned broadside. As he lowered his head to feed I didn’t hesitate. M3 was now standing at thirty yards and all I had to do was draw, anchor and squeeze. The familiar sound of my arrow-penetrating hide confirmed my shot as the whole group of deer scattered in every direction not knowing what just happened. M3 ran forty yards and did a 180-degree turn to look back my direction and didn’t take another step. I hit the ground rolling to my back celebrating my harvest. Seconds seemed like an hour as the adrenaline from the encounter flooded over my body in waves. As I stood over M3 and said a prayer I couldn’t help but be reminded about my love for this majestic animal and my new decoy that will never be away from my side!